Almost every computer service is offered as a "Cloud Application", but while the cloud is a good choice in many cases it is not the best choice in every case. Selecting the right cloud application for your company requires an understanding of your company and the offerings available. Most companies will be best served by a hybrid of Cloud and self hosted applications. I.T. Results has the experience to help you make the right decision. Cloud applications are seldom a one time buy decision, if you delegate the management of cloud solutions to cloud provider you will have an unmanaged solution with the typical unmanaged results. We can help you build integrate and maintain a unified cloud or hybrid cloud solution. The choice to use cloud services is essentially a rent vs. buy decision. There are many times the choice is obvious. Just as you wouldn't buy a car for use on your weekend out of town you would not want to "buy" an application that you are only going to use a short while for a special project. Other factors, such as the number of employees using the application and its relative importance to the company's line of business also can make a cloud choice obvious. For example, if you have one or two outside salesmen that need to keep in touch with their contacts, a service like constant contact would be preferable to building a complete automated email and CRM system in house. Other decisions on the rent vs. buy question will be strongly influenced by the owner or executive management's preferences. The effect on short term and long term cash flow, the total lifetime cost of the system, the calculation or ROI all have a strong bearing on rent vs. by decisions and as such will have a strong influence on the decision to use the public cloud for larger applications. Choosing a cloud service provider is like choosing a business partner. The service provider will be involved in your business, if you are putting critical business processes on the cloud. You must choose a partner that you trust The more critical the business process, the greater trust required. 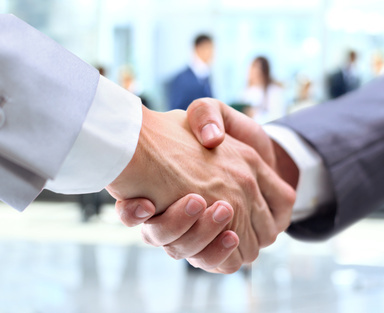 As with any partnership agreement, there must be a exit strategy built in from the beginning. Consider the example where you have a partner in your business who has sole signature authority of all financial accounts including your bank account. What would be the outcome if your partner was under pressure to steal from you, or got hit with the proverbial truck, just changed his mind about his life and the direction the job was taking him. Now, compare it to a company who has sole control of the data in your critical line of business software process. What happens if this company's leadership is assumed by unethical individuals (see Enron scandal), What happens if the company fails because they are expanding too fast (see Exodus and the dot com boom/bust). The cloud business model is rapidly evolving, service providers will have to change and adapt as it evolves. If your chosen service provider changes in a direction that no longer works for you, how do you get out? What will be the cost of getting out? These are reasons a good exit strategy is needed. In any event, it is just a good business practice. I.T. Results will create a customized plan tailored to your specific business needs and budget. We will implement that plan, monitor and test to insure that your plan will be reliable when it is needed whether it is needed next month, next year, or longer.